(Editorial note: During the past year I have had more than one occasion to consider and question the idea of perfection as it relates to craft in general and woodworking in particular. This has mainly been an interior monologue and it occurred to me at some point that maybe it would be better as a conversation. That epiphany led me to seek out the opinions of some old friends, some new friends and some people I barely know, each time asking one simple question: how would you describe the idea of perfection in 1000 words or less. 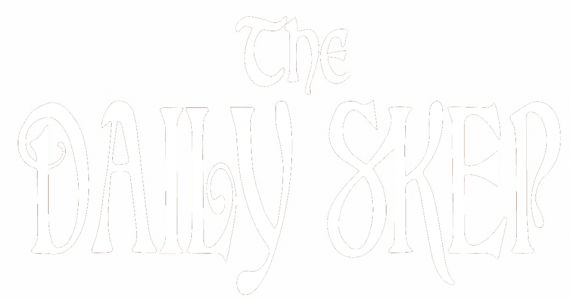 Over the next year, I will be turning The Daily Skep over once a month to a guest blogger as he or she gives their honest reaction to that very question. For the first installment of this series, I’m handing the reins over to my good friend Kieran Binne. I’m not sure he kept it under 1000 words here, but he certainly offers some food for thought. As a writer, luthier and furniture builder, Kieran has certainly put his mark on the hand tool world and I’m happy to have him kick things off. You can find his most recent work under the banner of his own blog “Over The Wireless” where he is constantly seeking to find the intersections between craft and integrity. “To make as perfectly as possible” urges Andre Roubo. I’ve been thinking about Roubo’s message recently, and about the aspiration towards “perfection” in my work. Roubo gives sound advice for all makers – after all no one wants to advocate sloppy work, and at first blush this seems to be a straightforward message. Make everything to the best of your ability. Easy. But on closer examination, rather than being an end in itself Roubo’s instruction opens up further questions, the most important of which I would suggest is “what constitutes perfect”? I don’t think this is some fruitless exercise in semantics; understanding what “perfect” is, the extent to which we should aspire to achieving “perfection”, the best means of doing so, and how “perfect” work affects the end user’s enjoyment of a piece of furniture or musical instrument, will in part determine how we approach our work. Interrogating the meaning of “perfection” therefore becomes a valuable process, which we need to undertake before we pick up a plane or break down rough stock. Thinking about the effect of “perfection” on the end user is a good starting point when questioning the value of perfection. What is more, starting from the perspective of the end user highlighted to me work that I felt was “too perfect”, which helped me arrive at a sense of the sort of perfection I aspire to in my work. Let me explain. My woodwork is rooted in music. Having been a musician for many years I turned to lutherie, which then led to furniture building. As a result, my frame of reference is still informed by those roots in music and guitar building. So when I think of absolute “perfection” the image that presents itself is of PRS guitars – those terrifyingly-priced pieces of guitar-art that constantly grace the pages of guitar magazines. Although PRS guitars are rightly renowned for being technically “perfect” I’ve always found this level of perfection to be rather off-putting. Yes, the instruments are stunning in their intricate shell inlays, gleaming hardware, and sumptuous translucent finishes which show off highly figured timbers. But for me, as beautiful as these guitars are, the impressive level of perfection leaves them feeling “sterile” in my hands. Why is this? I think that for my sensibilities at least, it is because PRS guitars are too perfect, and don’t show the traces of the hands that have made them. That means they don’t connect with me in the same was as other guitars do. This is by no means an excuse for sloppy workmanship, but with hand tool work I expect to be able to detect the fingerprints of the maker embedded within the piece. Perhaps then, there are several elements of what constitutes “perfection”. There are the basic principles of good work, what we could refer to as the “perfection of fundamentals”. So for the perfection of fundamentals, joints should be tight, finish should be applied consistently, boards should be flat and free of wind and tear out. There shouldn’t be mistakes or botched elements. These fundamental elements of furniture making, done well, can (along with good design) make a work piece “perfect”. I suppose what I am interested in is the more intangible aspects of perfection. So for me, the second element of perfection is comprised of details that carry the traces of the maker’s hands, of their processes, and provide a very real link between the maker and the end user. Think of it, the irregularity of hand-cut dovetails, or gentle scalloping of a smoothing plane, and the particular feel of a guitar neck that has been carved by hand instead of CNC, are interesting and comforting details. Unlike the perfection of fundamentals, this element is more subjective and unique to the maker. I think of it as the “perfection of intent” – achieving a level of perfection that is consistent with the maker’s artistic or philosophical approach to work. This cross pein hammer by Black Bear Forge is perfectly sized and weighted, and the blend of unpolished metal with decorative file marks leaves a clear record of how John forged and worked the metal – for me this is the ideal balance between the perfections of fundamentals and intent. In asking questions about how I feel about perfection, I’ve also started ask how I should seek to attain perfection in my own work. The perfection of fundamentals apply, that goes without saying. But for other elements of each build, how do I want to leave my fingerprints behind for future generations? How do I want to approach the perfection of intent? For the parlour guitar currently on my workbench my approach to the perfection of intent means that I am leaving some chisel and tooling marks on the internal bracing. With the pyramid bridge the carvings will be well proportioned and finely sanded to remove any tooling marks, but may have the very slight variations from side to side which indicate they were handmade rather than CNC carved. All of these touches will ensure that the guitar carries stories of how it was crafted. I fully expect that my approach to the perfection of intent will evolve over time – my previous guitar builds have had braces that were sanded to 320 grit and were devoid of any tool marks, but wouldn’t it be dull if our approach and philosophies never changed? So maybe the next guitar will carry very different fingerprints. But what I am certain of is that I will continue to try and leave the human touch in all of my work. The contrast between “technically perfect” and “human” elements can serve to emphasise each other, and give the end-user additional enjoyment as they explore a piece. In The Anarchist’s Design Book (Lost Art Press, 2016) Christopher Schwarz writes convincingly about leaving the plane tracks from traversing cuts on a jack plane on the underside of drawers and tables to give users a more tactile experience as they discover a different texture to that of the smoothed tabletops. Similarly, Issue 1 of Mortise & Tenon magazine includes details of how period furniture makers often squared only one face and edge of rails or stiles, leaving the other two surfaces still in the rough. This contrast in finishes can be exciting, but also has a practical implication for the maker; it is a more time efficient method of hand-building furniture. And this begs a question; has the ready availability of machinery changed what is considered to be “perfect”? Does the relative ease of 6-squaring all of your stock at the jointer and planer mean that we now expect every surface to be finished to the same standard and texture? And if so, is that a perfection of convenience, or can it be enjoyed as we engage with furniture (or guitars) with our hands and our eyes? This is so subjective that I’m not sure I can offer any answers beyond the way I respond to such pieces. But I would argue that the perfection of intent means that rejecting a technical machine-made perfection is not accepting a lesser standard of work: rather is it the insistence on engaging with furniture or musical instruments that have been formed through the hands and sweat of a fellow craftsperson. There are of course many ways to think about perfection, since it is after all an entirely subjective concept. And your ideal of perfection may be very different to mine, which is entirely fine. But whatever form “perfect” takes for you, I ask you to stop and interrogate why you gravitate towards that standard, and ask how that standard influences your work. Here is a final example of the perfection of intent, and one which I find myself revisiting often. One of my favourite Neil Young albums is Tonight’s The Night. According to Shakey (Jimmy McDonough’s authoritative biography on Young), Neil had engineer David Briggs record the band rehearsing the songs for Tonight’s the Night, and as soon as the performances got too polished he had them move onto the next song. The drunken “rehearsals” are the takes which ended up on the album, every fluffed note, mumbled lyric and rickety rhythm. On a technical level the album is a shambles, but in terms of the feel? The vibe? It ranks up there with his best work. Why is this? For me it is the honesty with which the songs are portrayed – this record represents the shortest path for the raw emotion to travel to the listener’s ears. The raw, unvarnished sound of Tonight’s the Night is as honest an expression as any craft can be, and that honesty represents a perfection which a more technically polished (or traditionally “perfect”?) album would lack. Thank you for this, Kieran. Perfection is a good topic to think about, especially in our culture that is too quick to point out ‘flaws’ in practically everyone and anything. I like your perspective on subjective perfection and making things with the end user in mind. It makes me think of Michaelangelo’s ‘Captives.’ They are the ‘unfinished’ statues in the hallway leading to his statue of David, and for their state of being ‘unfinished,’ or imperfect, they are far more stunning and captivating than the David to me, which many would say is a ‘perfect’ piece of art. If man made panels were not flat and of uniform tickness, the automate making the throw away furniture would not function properly. So if the internal surface is flat, it is not necessarily with the end user in mind. Although, especially for kitchen cabinets, easy cleaning of the Inside is a quality. Excellent question. This is definitely subjective territory and it adds a dimension to consider. I can’t answer for Kieran, but I often ry to picture the telos, or end goal, rather than end user. If I make things well, the end user may end up being the grandchild of the person they were made for! A evocative premise Jim, and an exceptional first installment Kieran. Bravo to you both! Your concluding paragraph on Young, in particular Kieran, really adds a nice texture to these reflections. The subjective criteria of perfection depend on earlier subjective choices. As you illustrate, even the man who wrote “Nothing is Perfect” had a lot to teach us on perfection. Thanks Brian. This has been on my mind for the last few months and I can sometimes think in a vacuum, so I wanted to hear what others had to say. I would venture that similar concerns have been expressed in many Japanese aesthetic principles, such as wabi and sabi.